Non-Sport Update Non-Sport Update's Card Talk General Promo Talk Indiana Jones 2008 (Topps) Comic Cards ? Indiana Jones 2008 (Topps) Comic Cards ? 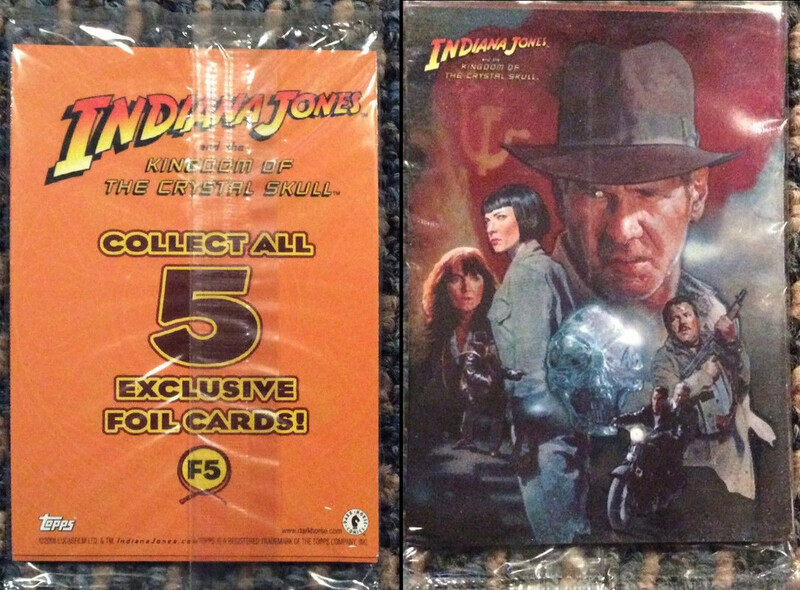 The 2008 Topps set for the Indiana Jones, Crystal Skull movie had 5 foil cards supposedly exclusive to the Dark Horse comics. Which comics were these in ? First I have heard of these cards. All I know is I have them. But I think I bought them all from E-Bay. In 2008, Dark Horse did a 2 issue adaptation of the Indy film, and it also did a 4 issue mini-series called Indiana Jones and the Tomb of the Gods. 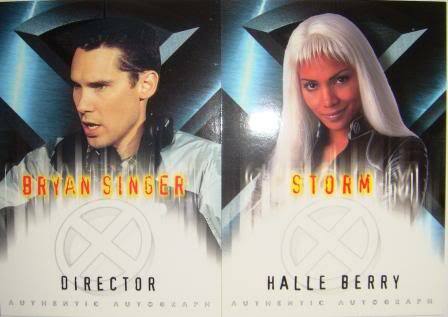 I wonder if these cards were in any of those ? I think I may have confused the cards you are asking about for the Target cards. I have five with red backs and only one with the blue back. According to Jeff Allender's checklist, there are 5 foils from Target with orange backs, 5 from Wal Mart with blue backs, and 5 from the Dark Horse Comics. In the Box Breakdown section above, Archifou also mentions these. Archifou posted a scan of the 5 foil cards above, which came in a sealed cello pack. Wow ! I never saw those before. I remember back in 2008 it was mention in a NSU article about the Crystal Skull set regarding the Dark Horse Foil cards but I never come across once I saw the Walmart/Target retail foils so I called Dark Horse to check if it was released and they have said it was cancelled back in 2008. The 5 foils cards are from base card #85, 86, 87, 88 and 89 (Dark Horse adaptation). The same seller sold one a few months before but I never saw one after mine from this seller. I also ask him where he got them but he never reply. I noticed from reviewing some completed ebay auctions, that certain versions of the DVDs of the three 1980s Indy films, came with packs of Topps cards in them. Were these unique cards for the DVDs, or rather select cards from the 2008 Indiana Jones card sets, in these packs ? Anyone know ? In other auctions, it's always one of cards 4, 29, or 56 from Indiana Jones Heritage on top. But the top card doesn't always match the movie it's packed with, so maybe the pack is always these three. Slightly related but starting to get outside the boundaries of trading cards, the Indiana Jones Complete Adventures Blu-Ray "Big Sleeve" Edition contained "4 double-sided 12" Art Cards": https://www.ebay.com/itm/254010775232 . Quick Reply to: Indiana Jones 2008 (Topps) Comic Cards ?